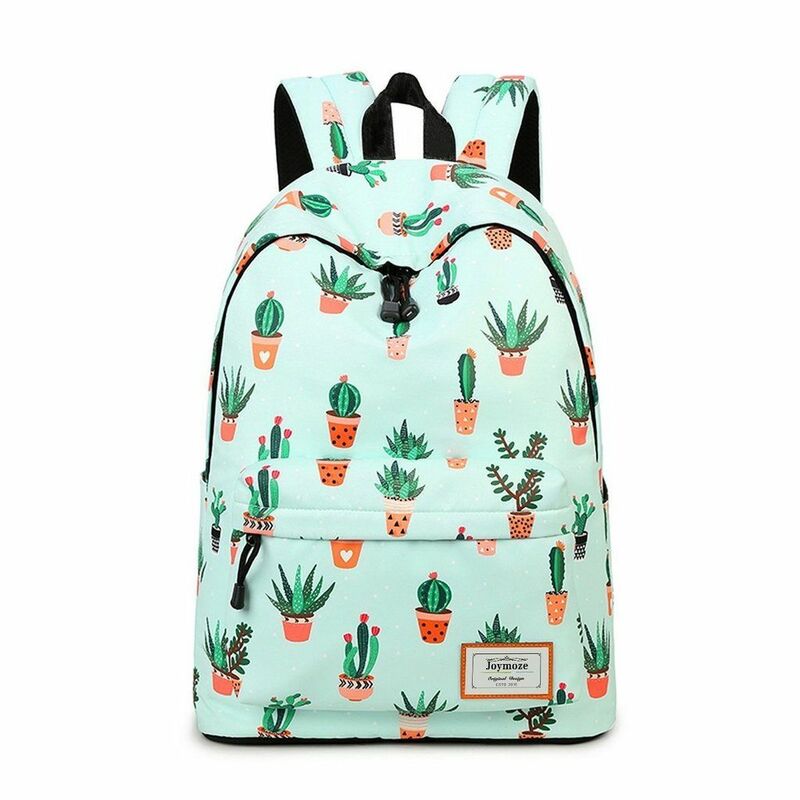 Looking for some killer backpacks for back to school season? Whether you’re heading back to high-school or starting college, you want something really awesome to lug around your books and supplies! 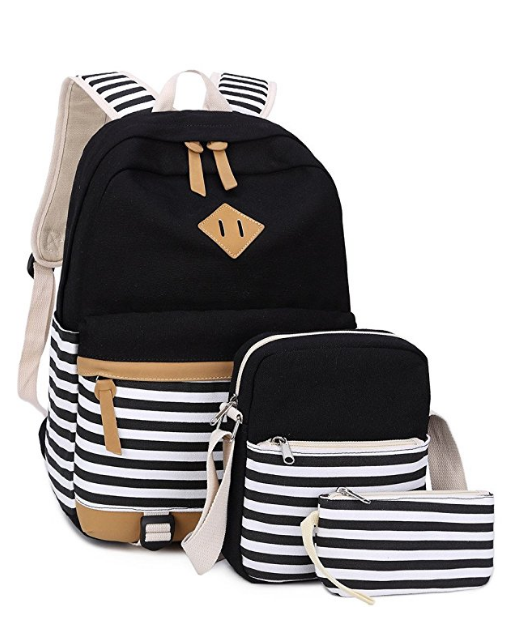 Your backpack should stand out, should be an expression of your personality and oh yeah- should be roomy and comfy for your books. After all, you will be carrying it every.single.day. If there is a back to school purchase you want to shine, it should be your backpack. Read on to discover our favorites! Affiliate links included below. If you make a purchase through these links, we earn a small commission at no extra charge to you. Prices are subject to change. 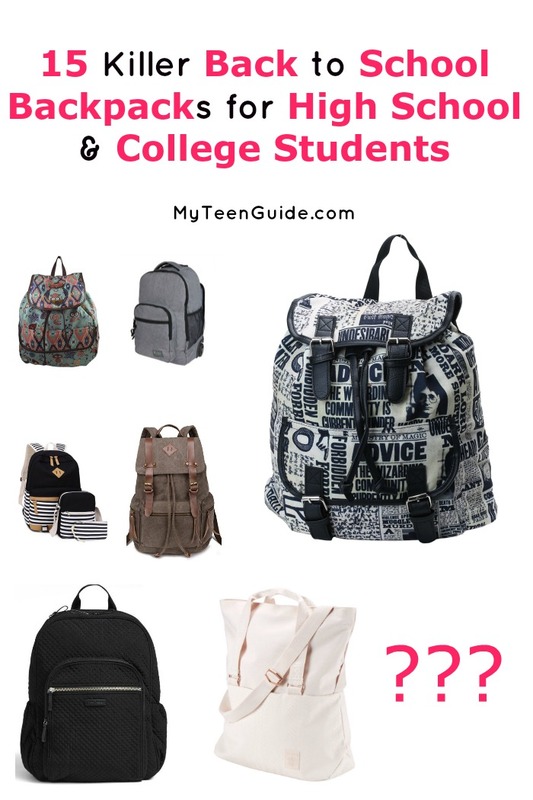 We have the scoop on the most fantastic fashion backpacks for teens for the first day of school. Swoon! Even better, these backpacks will totally leave you room in your budget for all the rest of your back to school essentials and maybe a few extras. These backpacks are full of color, pattern and a style that is all yours plus the prices are all under $30. These bags are on the edge of teen fashion, just waiting to be plucked. What are you waiting for, let’s shop! Want to stand out in a crowd? 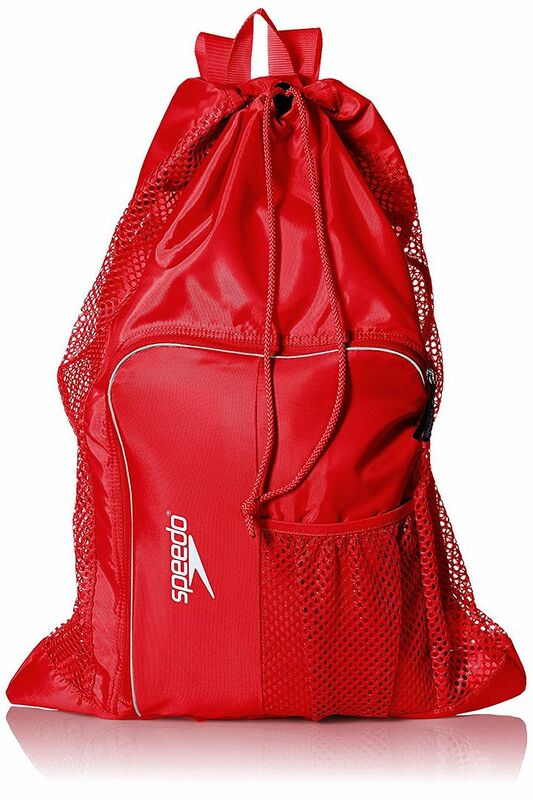 You need this red drawstring Speedo Deluxe Ventilator backpack! It’s ideal for toting around your gym clothes and shoes, plus a few after-workout essentials. If the red isn’t for you, it comes in a ton of other colors. The price varies depending on the color, though, so I can’t guarantee your choice will be under $30. 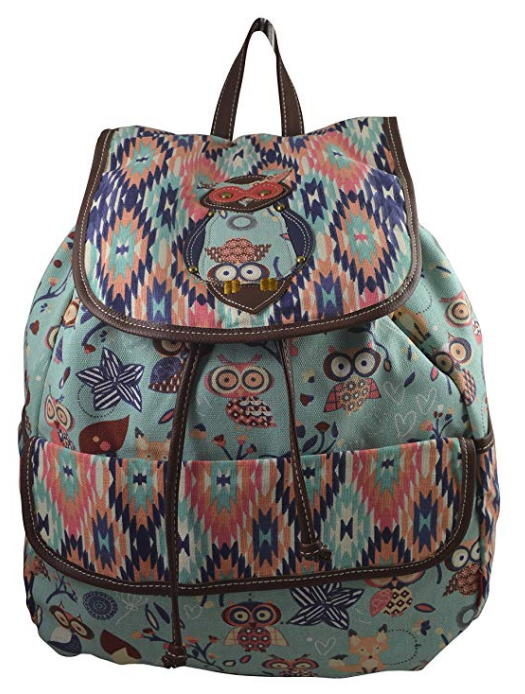 How much do you love this Unionbay Owl Print backpack? SO cute, right? I am all about owls right now! Canvas material with stamped owl prints. Cognac trim in faux leather. Sturdy stitching so it will hold up! Side pockets, front flap pocket, and an interior pocket. If you thought the owls were cute, wait until you see this one! I’ll be honest, I can’t keep a plant alive to save my life. Not even a cactus, which are supposed to be super hard to kill! I have to settle for adorable cactus designs! At least I don’t have to water this backpack, right? 2 side pockets and 1 front zipper pocket. Looking for something a little more sophisticated without breaking your back to school budget? 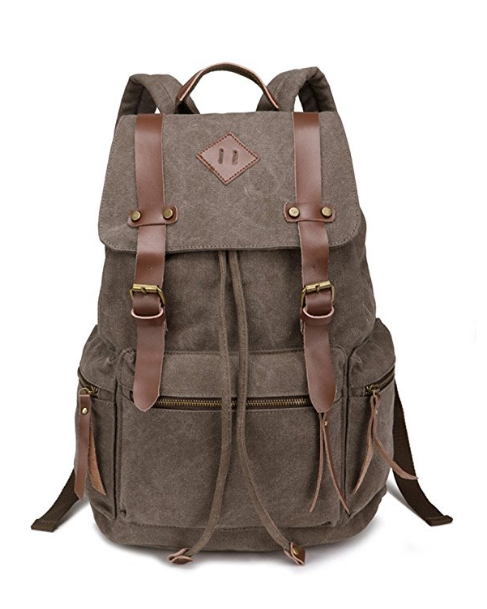 I love this BeautyWill Vintage Canvas Backpack . It’s stylish and fun without being too cutesy. Main compartment holds up to a 25″ laptop. It comes in 6 different gorgeous colors, too! Another great choice for a more sophisticated look, the LIZAIDA MENENDEZ Fashion Trend Backpack comes in 6 stylish colors. I really like the light green, it’s minty, don’t you think? High quality and lightweight oxford fabrics. Adjustable padded shoulders to keep you more comfy. The straps are designed to ease pressure on your shoulder. Padded laptop sleeve that holds up to a 15-inch laptop. 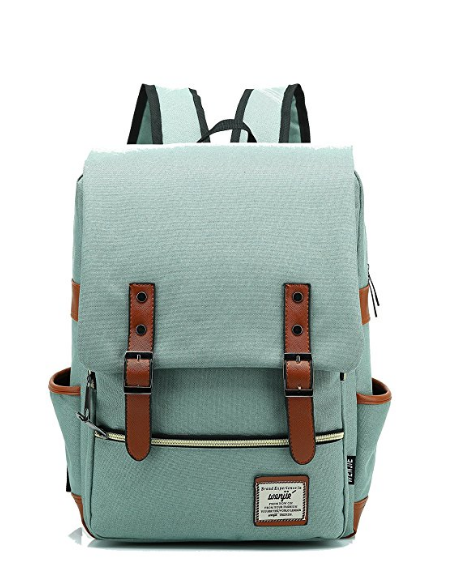 All of these backpacks under $30 are perfect, but I personally love the Owl backpack the best! 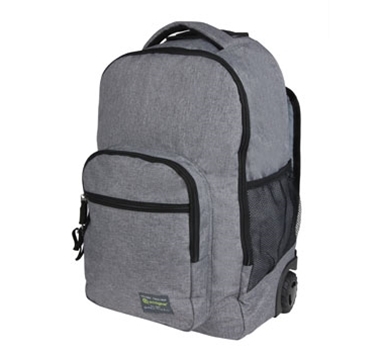 If I am looking for something a little less flashy, I would go with the Unionbay backpack. If you have more wiggle room in your budget, you might like some of these next backpacks that range from $30-50! 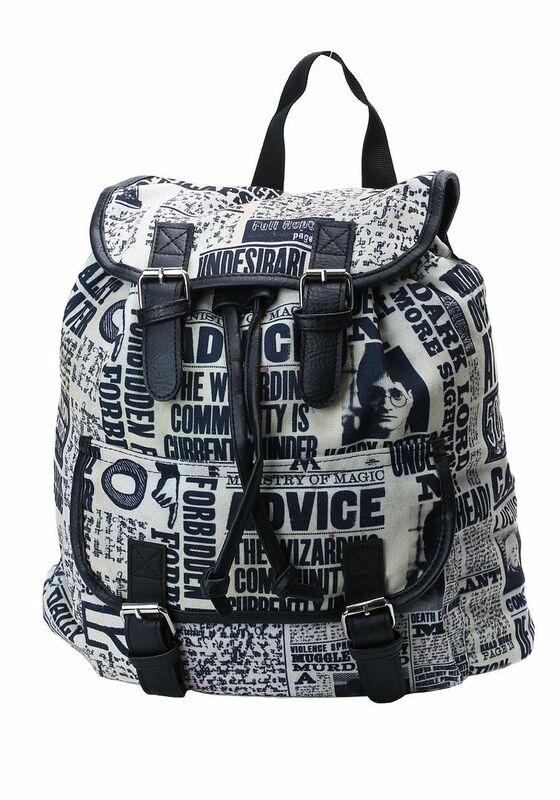 The Harry Potter Daily Prophet Knapsack is the perfect choice for those of us who are crazy for the Wizarding World but still want something a little more sophisticated than most of the offerings out there for fans. Hheadlines, excerpts from articles, and a picture of Harry Potter printed on the polyester canvas material. A large opening and magnetic snap closure. I love the Bluboon canvas backpack because it comes with three pieces. That way, my makeup pouch and purse coordinates with my backpack! It’s also super stylish and available in about 10 different colors. Backpack + shoulder bag + pouch. Backpack can accommodate a 14-inch laptop. The side pockets can hold a water bottle and umbrella. 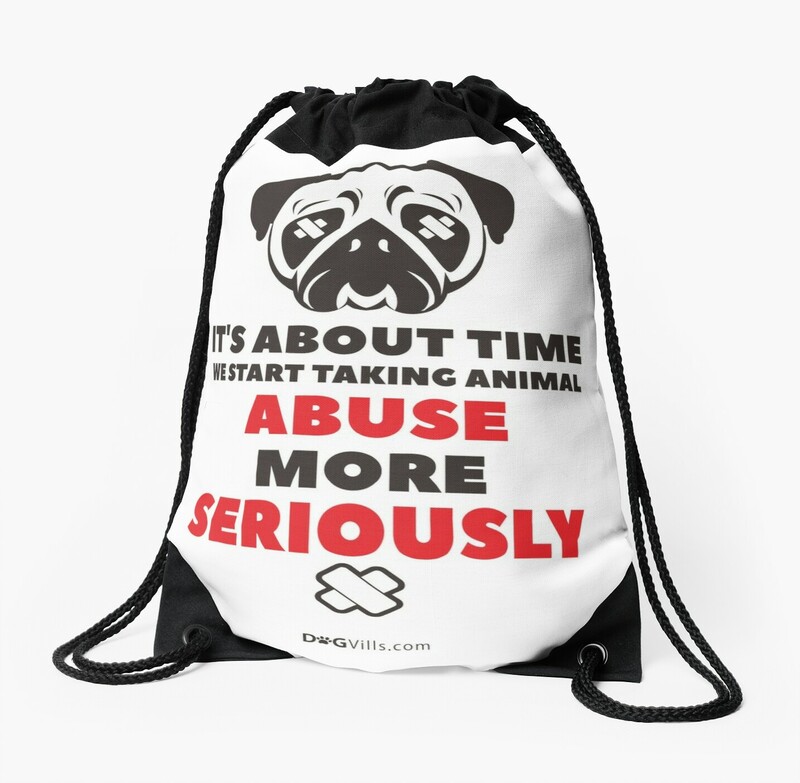 If you’re passionate about animals and want a backpack with a message, you need this Stop Animal Abuse gym bag. It says “It’s about time we start taking animal abuse more seriously.” Simply stated, powerful message. I have a few bags from Redbubble, and I can tell you that the designs don’t fade and the bag is super well-made. Personalize this one however you want! So cute! Want a backpack that is all you? Make your own on Shutterfly! While the designs they feature look more like they’re made for little kids, you can change the wording, personalization, and sometimes even the colors on most of them. I love the gradient bag above. I’d probably get rid of the “Rad” and put something a little more me there. I would add my name, but again, you can change that to whatever you want (as long as you stick within character limits). The Reebok Style Foundation Active Graphic Backpack is oh-so pretty in pink! It’s not just cute, it has inspirational messages printed all over it! While these are all great bags, I personally LOVE the Harry Potter bag. I’m kind of a super fan! For my gym clothes, I would get the Stop Animal Abuse bag because I’m really passionate about protecting animals. 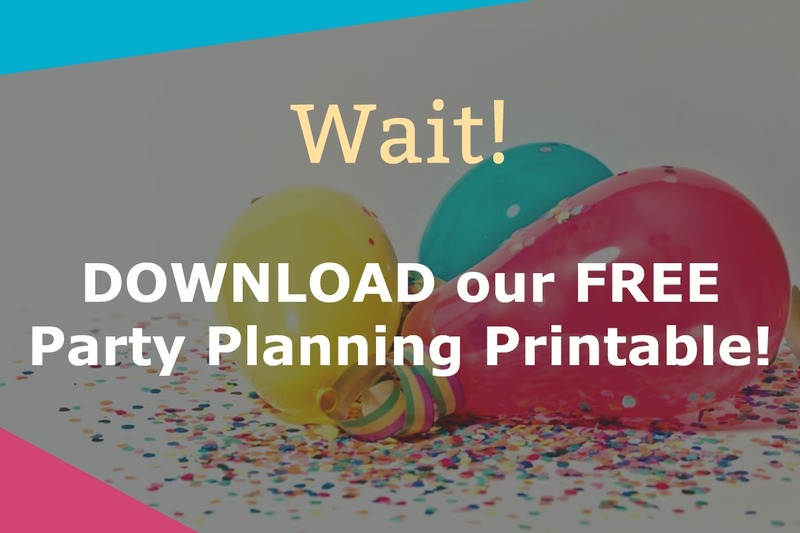 Still have plenty of room left in your budget? These next backpacks are for you! They’re all over $50, but worth every penny! Lightweight microfiber and solid-colored polyester. Two zip pockets and two slide slip pockets on the outside. In the front zip compartment: A charger pocket, three more slip pockets, pen pockets and an ID window. A special section for your laptop. I’m eco-friendly AND easy on your back! Looking for an eco-friendly backpack that’s also easy on your back? The EcoGear Rolling Dhole Backpack is just what you need! It is made of REPREVE fabric, which comes from recycled water bottles. Another stylish bag from Reebok, the Classic Snake Embossed Bag is both elegant and practical. Pack it full of school essentials, or fold down the top and use it as a purse. Want a rolling backpack with a little more color? 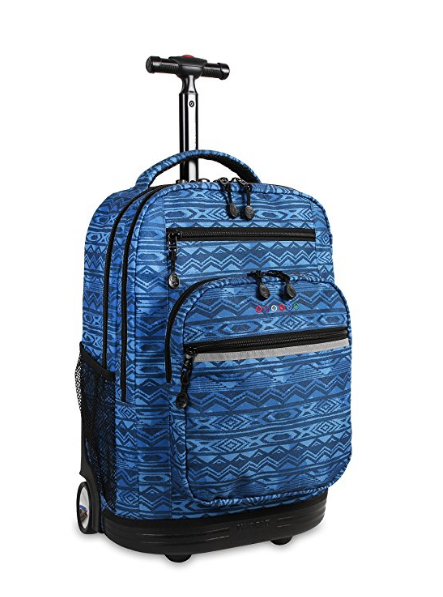 The J World New York Sundance Rolling Backpack comes in over 40 different styles! I had such a hard time picking a favorite! Out of this group of back to school backpacks, I would have to go with one of the rolling bags. It seems like the higher your grade level, the heavier your books get! Rolling backpacks are great for saving your back. Which backpack do you have your eye on? Let us know in the comments which bag you want as you head back to school!